Known as an innovator in Genre Fiction, Pro Se Productions announces its latest release, a book that takes horror fiction to a whole other level. Within this book reside fifteen dark tales, stories that do more than thrill and chill, that aspire to leave readers not only changed, but scarred. 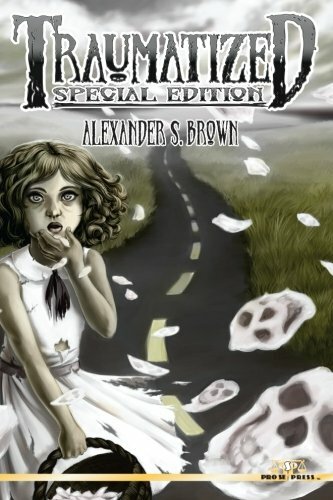 Prepare to be disturbed to the edge of your seat by Traumatized: Special Edition from Author Alexander S. Brown. Traumatized: Special Edition features an incredibly haunting cover by Kathryn Frizzell with cover design and print formatting by Percival Constantine. This remastered edition of this collection is available at Amazon and Pro Se’s own store at http://tinyurl.com/lry9hm9. The book will also be available in a digital edition in the near future. MISCHIEF AND MAYHEM BECOME FAMILIAR AGAIN- COMPANION DRAGONS TALES VOLUME TWO: FINDING WAXY DEBUTS!